Received my pattern and have gotten to work on cutting fabric. I have my first Ohio Star block layed out and I'm pretty pleased with how it looks. I'll get some pictures together for next week. Thanks for taking care of all of the "administrative" work for all of us! I have the worse time in the world choosing fabrics. That process just drags on forever! My daughter would have cut out all her project and I would still be playing with the fabric on mine. Thanks for the update and for the links to the others. I'm off to visit them next! Wish I was sewing along too. 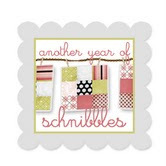 I know they will be fabulous quilts. I have the hardest time choosing fabric. 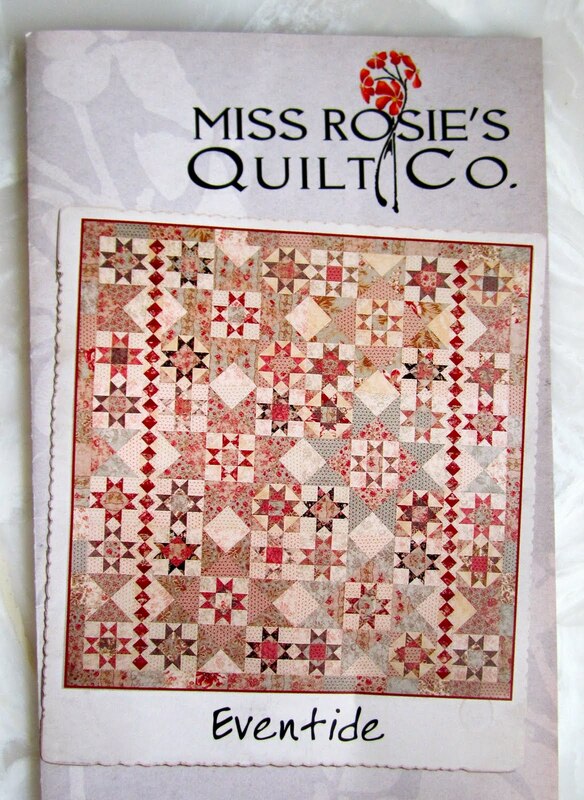 I think because of a very limited budget so I can't sew with just quilt shop fabric, though I would love to. I think the blocks on the bookshelf are just lovely. A lot of February birthdays. Mine was on Sunday. Have appointments to take my MIL to and then I hope to start choosing fabric. I got the pattern on Saturday so I'm behind a little. I think your block look great! Even though I'm not quilting a long I like to see the steps along the way. It makes me think that maybe I could do such a difficult pattern if I break it down into steps. Hi Thelma! I changed my mind and am now using an older Fig Tree line called Fig & Plum. See I have a hard time deciding too. 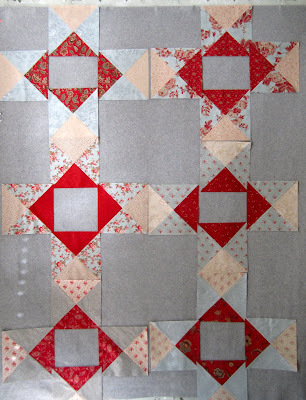 The Fig Tree fabric has a more muted selection of neutrals that I think won't complete as much with the star blocks. I haven't started yet but hope to do at least one block before next Tuesday. It cracked me up when you said you are a rule follower! 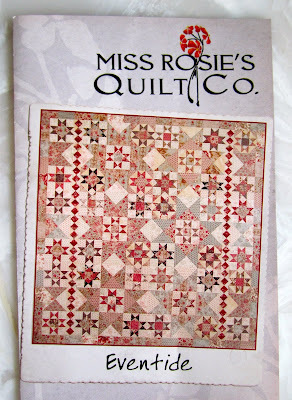 You almost always redo every quilt pattern...which I love since I never have the courage to do that! Since I've been following your blog, I've come to the conclusion that red is your favorite color and blue is your least favorite...so just go with what you love! I am really looking forward to seeing all the different Eventide quilts...it will be fun to see all the different fabric choices. I'd love to win and order an Eventide. Hopefully I could catch up with the project. Thank you for the opportunity. I'm behind because my pattern hasn't arrived, but when it does, I will get in gear. I'm eager to see all the different combinations. It's hard to go wrong with this lovely pattern. Thelma, I love that you are providing so many insightful ideas about making this quilt. I've been playing with fat quarters and should be able to start cutting soon! Yeah my pattern arrived today in the mail. I already hoped it would arrive soon as next week I have 3 days of so lots of time to cut and sew. I think I will be starting the cutting tonight. It would be a hard choice to make, I like all of Carrie's pattern. I'm not quiling along because I'm in the middle of piecing Farmer's Wife together. I am in california so I guess I was the last one to post my progress on eventide this morning . It has been alot fo fun working on this quit but I agree what takes the most time is figuring out what fabrics I am going to use each time. I love seeing your Eventide in progress... I think it's beautiful and you shouldn't overthink it... but you always come up with something extra special, so I can't wait to see what it is. I think that is what gives quilters the biggest block when they are going to make the quilt for themselves... to invision it differently than what the pattern shows. BTW... you might like rules, but you seem to like to "adapt" them. 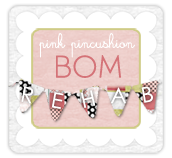 Thank you for your blog and bringing ALL together for the sew a long. I just love to read the thought process on what fabrics get auditioned. Whatever you chose in the end, it will look great! I have the hardest time choosing fabric too, and it isn't until I've got several blocks together that I can even tell if they are "successful" ie read well and I like them. But what a waste of time and fabric when I don't like them. I like the blues on yours, but the caramels might really pop. I'm looking forward to seeing what you choose. Hi Thelma, I thought I left a comment earlier, but we were having internet problems so maybe it didn't post. I love process posts... I have a couple of questions. 1. if you try different things out and don't like them, then you've used up a lot of your original fabric, right? Do you just add others as you think about it? ve carried it around! But maybe I just missed it? I find your struggle to find the right color combination for you interesting:) Thelma...can't wait to see what you chose. Thelma, do you have the Electric Quilt software? I think it would be perfect for you! You can audition your fabrics in your quilt layout first not to mention changing up the layouts a bit and testing different borders. I think you'd love it. I am enjoying reading about Eventide and all the wonderful fabric choices! You are always so inspiring. Your fabric choices will be beautiful whatever you decide. I have the pattern and love it but am still intimidated about fabric choices... what to put where... even after reading Nicole's post about color choices. 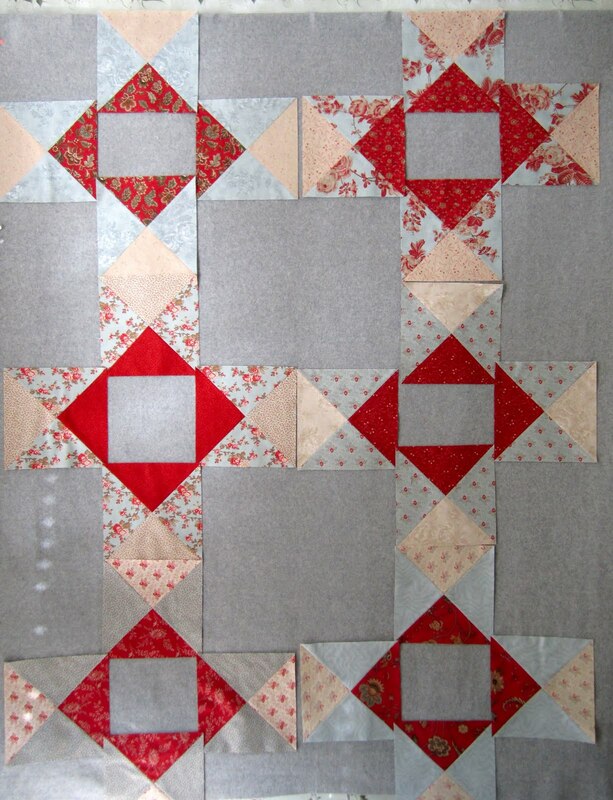 Your blocks look great... love the red in the hourglass blocks! I am getting a late start too, since my fabric just arrived. I chose Charlevoix from Minnick & Simpson for my version. I hope to start cutting soon! I am so inspired by all that you get done. Eventide is a little more than I can tackle right now, but I love seeing your progress on the quilt. Martinique! I found my two layer cakes and evidently I thought I had a plan early and had purchased some dark pink (perfect for the inner border of diamonds) and enough for strip borders or additional stars. I'm excited now. The pattern came in the mail on Tuesday and I have some free time this weekend to get started. Thanks for the inspiration and encouragement. The helpful hints from you, Nicole and Lisa. You three make Carrie's patterns so enjoyable to work on. I'm so enjoying your adventure with Eventide. My mother is very ill right now so there is not much sewing happening here at the moment. I've been living vicariously through all of you. Thanks for organizing everything, Thelma and for all of your beautiful quilts. Keeps me dreaming!!! I would love to do this fun quilt with y'all. But I have promised myself I would start no new quilts till I clear out a bunch of UFOs. That is a beautiful pattern and I love your fabrics~ enjoy! Well--sign me up! I didn't get selected for Jury duty. I just finished a donation quilt for the kid's school and now I'm (almost) free! Can't wait to see what transpires! I used to struggle with color choices and then took some art classes - as in painting. If you can get to an art supply store, ask for a book on color. It's really helpful. Contrast, warm and cool color, how to get different grays and why, it's all in the books and is a huge help! When I don't like a combination now, I know why so that helps me pick a fabric I'm happy with.